We talk to Bob Schooley and Mark McCorkle about Hiro, Baymax, and rumors of a possible sequel. (SPOT.ph) It's hard to believe that it's been three years since the whole world fell in love with Baymax, Hiro, and the so-cool-it-should-be-real city of San Fransokyo when Big Hero 6 first came out. The animated movie tells the story of Hiro Hamada (voiced by Ryan Potter), a genius young boy whose brother Tadashi (Daniel Henney) tragically passes away in a fire. Hiro accidentally sets off Tadashi's prized invention, a healthcare robot named Baymax (Scott Adsit), who does everything to make sure Tadashi is okay—both physically and emotionally—including suiting up for battle with Hiro and his friends. The fun but also heartwarming story earned Big Hero 6 the Academy Award for Best Animated Feature in 2015. And while rumors have been circulating about a sequel, it's never really been confirmed. But fans of the movie can now watch new adventures of Hiro, Baymax, Go Go, Wasabi, Honey Lemon, and Fred, in Big Hero 6: The Series. 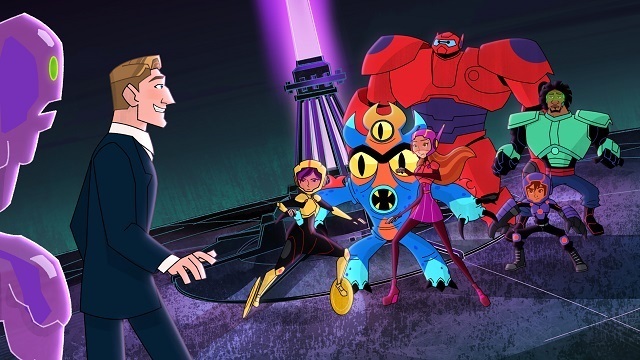 The new show about the heroes battling scientifically enhanced villains in their city is now available for streaming on the new DisneyLife app. You can also catch it on the Disney Channel on Cignal channel 71 and on Sky Cable channel 47. 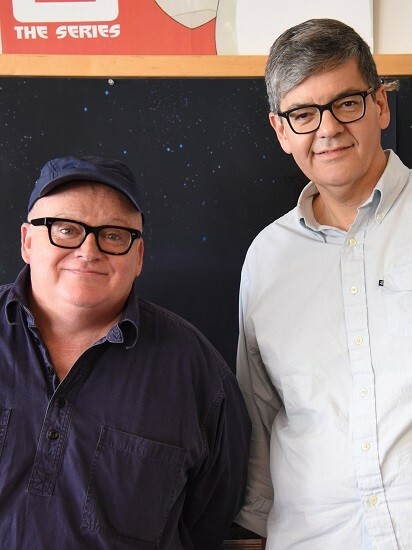 It airs every Friday at 1:30 p.m. and on Saturday and Sunday at 8 a.m.
Mark McCorkle (left) and Bob Schooley (right) are behind numerous animated movies and TV shows. The new show is from executive producers Mark McCorkle and Bob Schooley. If their names sound familiar, that's because they're also the brains behind your favorite TV show as a kid a.k.a. Kim Possible. Big Hero 6: The Series isn't their first time making a great TV show based on movie characters, either. They also created Penguins of Madagascar, Monsters vs. Aliens, Buzz Lightyear of Star Command, Hercules, and Aladdin. They’ve also penned big-screen hits like Hotel for Dogs, Sky High, Disney’s The Lion King 2: Simba’s Pride, Aladdin and the King of Thieves, and The Return of Jafar, among many others. In an exclusive phone interview with SPOT.ph, Schooley and McCorkle talk about what fans can expect from the show and its similarities and differences with the original movie. 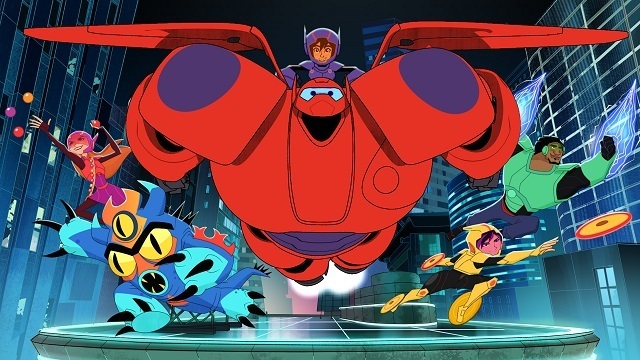 What made you want to start a show based on Big Hero 6? Schooley: I think we saw the movie a week or two before its release. And when that last image came out of them flying towards the camera and you knew there were gonna be more adventures, I think we were pretty excited 'cause that's the kind of show we like to do. We wanted to see those adventures and we had the chance to create those adventures, so that's a pretty fun opportunity for us. Given that you are also the brains behind Kim Possible, what would you say are the similarities between the two shows? McCorkle: But I think Kim Possible was maybe a little more towards comedy, and was a little more fantastical whereas in Big Hero 6: The Series, we try to be a little bit more grounded. It feels a little more like the real world even though some pretty amazing things are happening. But in both cases, the teenage characters are going through the stuff that everybody goes through in life so in that sense, they're both very similar shows. 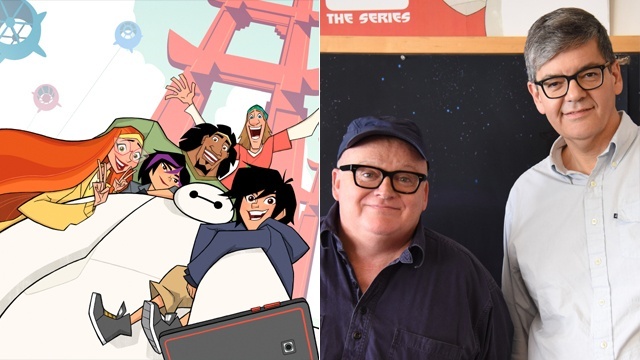 Schooley: Yeah, probably [out] of all the series—and we've done a lot of series—Big Hero 6: The Series, I think, shares the most DNA with Kim Possible in terms of what we've brought to [the show]. I don't think anyone would be shocked that we did Kim Possible, [while] watching Big Hero 6: The Series. 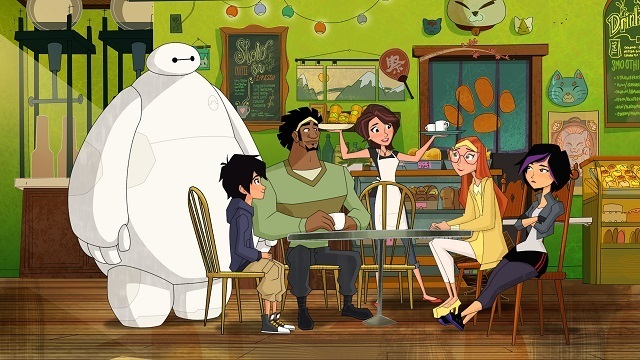 Some changes were made to the premise of the story in the series, like Aunt Cass knowing about Baymax and the team's identities being a secret. What made you decide to switch things up and how did you choose which storylines to change? Schooley: We saw the end of the movie and we just try to pick [it] up from there. We didn't change too much. We tried to be faithful, we looked to characters like Go Go, Wasabi, Honey Lemon, and Fred, and we took what we saw of them in the movie and said, "Okay, how do we expand them as characters? What are the new things the audience will learn about those characters?" And part of that was our team of writers working, our artists, but also the actors who played their roles really helped us figure out the new direction. How do these things affect a possible sequel, if there's going to be one? Schooley: To be totally honest, we have never heard—other than the stuff we read online like everybody else—any talk of a sequel. So, we kind of view it as the show as its own thing. The movie exists as a movie and we're telling a new story that sort of continues from where the movie left off. But we never really heard anything about a sequel. So, as fans of the movie, we'd be as delighted as everyone else. McCorkle: Yeah, the fact that the Incredibles sequel is [set] 15 years later, shows that anything's possible down the line. The original movie was based on a Marvel comic. Did you guys also get inspiration from the comics? Schooley: No, you know, interesting question—the filmmakers changed so much from the comic books, I guess it doesn't really bear a whole lot of resemblance other than the names are the same. The actual look of the characters and what they're all about changed so much that we thought, "Well, maybe it's better to not even look at the old comics." We just looked at the movie and tried to build from there and that's what we did. In the series, Ryan Potter, Scott Adsit, Jamie Chung, Genesis Rodriguez, and Maya Rudolph return to their roles as Hiro, Baymax, Go Go, Honey Lemon, and Aunt Cass, respectively. How did this help in making the show? Schooley: I think what helps is that those actors play a huge role in shaping the characters, so to have their input on each episode as we're recording it, we would also do rewrites during a recording session to help keep the characters faithful. So, it's true for all of them, but it's especially true for Baymax. Scott Adsit, who does the voice of Baymax, played a huge role in creating that character and it's one of the most unique Disney characters I think in years. McCorkle: It's always great when you can get original cast members when you're doing a TV series, because it really connects us to the origin story. It's much more solid, I think. One of the best things about the movie is how they put together San Francisco and Tokyo to create the city of San Fransokyo. Can we expect more of this mash-up? Schooley: Well, we tried to continue exploring San Fransokyo by comparing or connecting San Francisco and Tokyo. We just try to look at a lot of—how do you combine elements of those two cities? Even the fast-food place that they go to has noodle burgers, which are these cheeseburgers with buns made out of ramen noodles. So everything has a sort of mash-up feel to it. Both kids and adults love Baymax and Big Hero 6 in general. How do you make sure that everyone enjoys the show? Or is it just something that comes naturally? Schooley: I think it's just the way we tend to write. We always try to make sure that there are some jokes that may be a little over kids' heads. And then there's always some pratfalls and silly stuff for younger kids. Our whole career has been that dual track—it's definitely aiming for a whole family to be able to sit down and the parents being engaged, too. McCorkle: I think when you look at a movie like Big Hero 6—it won the Academy Award, it was a huge hit all over the world—it connected with people of all ages. 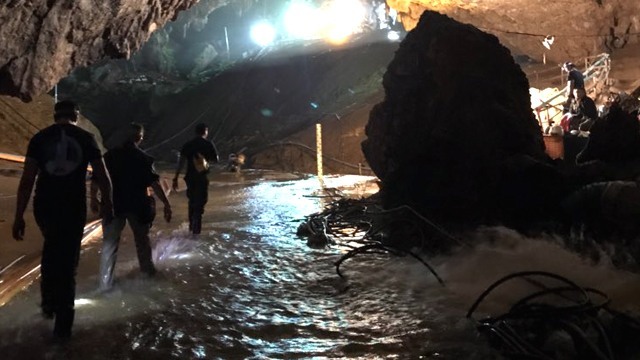 So, for us as storytellers, we look at what it was exactly that connected. We all know that humor and adventure are part of it, but warmth and heart that you find in Disney movies—recreating that in a TV series is important. I don't think we've ever worked on a show where hugs were such a frequent thing. You're taking these creations and you're trying to find new things to explore but also be faithful to its origin. 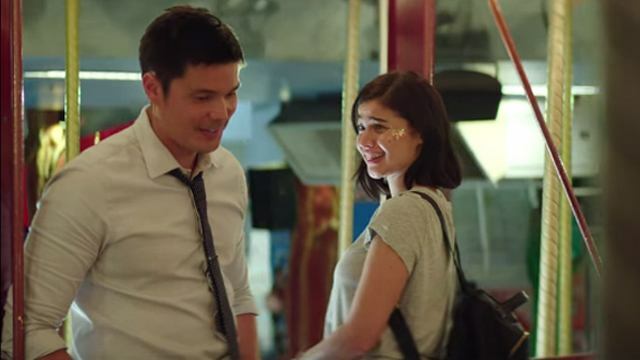 What can fans and non-fans expect from the TV series? McCorkle: Well, hopefully fans will get more of what they enjoyed but discover some new things. What we try to do always is each 22-minute adventure in the story, we try to think of it as someone tuning in for the very first time, that hopefully we can entertain them even if they've never even heard of Big Hero 6. Our goal is always that we have this wonderful movie behind us, that we're building on, but we can't count on that. We need to make sure that each of our stories is compelling, is entertaining, and pulls people in. Schooley: And it has an ongoing mystery that gets solved at the end of season one, then there's another mystery. But yeah, the opportunity to tell a longer and bigger story than what you can do in a movie is always a nice advantage of a TV series. Big Hero 6: The Series is available for streaming on teh DisneyLife app. It airs on the Disney Channel on Cignal channel 71 and on Sky Cable channel 47 every Friday at 1:30 p.m. and on Saturday and Sunday at 8 a.m.